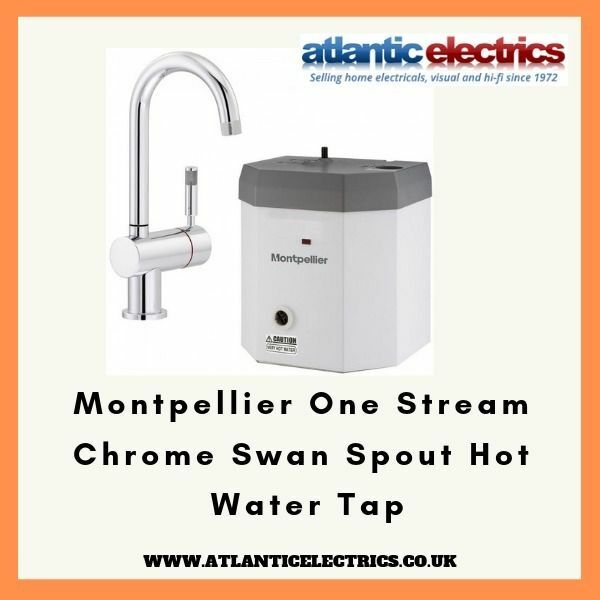 Montpellier One Stream Hot Water Tap is designed to be a dedicated instant #hotwatertap, separate from your main tap and ideal if you are worried about children using it. The tank keeps water at 98°C (near boiling) so you never have to wait for a kettle to boil again, plus the boiler has a filter and you'll really notice the difference when making a cup of tea compared to your scaly old kettle. Comes with 5 Year Guarantee on the tap and 2 years on the boiler.